Due to the immense popularity of caffeinated beverages, coffee shops are the fastest growing segment in the food service industry, with an approximate annual growth rate of seven percent. Depending on the location and cost per cup, coffee shops sell an average of 230 cups of coffee per day, equaling an estimated revenue of $250,000 or more each year. Based on the shop’s size and location, the initial investment can range from less than $20,000 to upwards of $100,000 and the payback period for a smaller shop is generally 3-8 months. Сoffee is becoming increasingly popular; over 75% of American adults drink coffee and over 58% drink it daily, a significant increase from only a few years earlier. Because of this market growth, the addition of new coffee shops continues to be viable despite more than 50,000 coffee shops already existing in the U.S. alone. 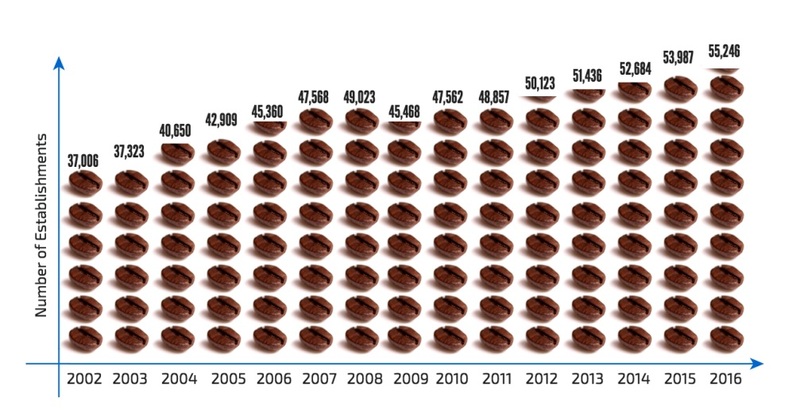 According to Statista, next year, in 2016, we’re looking at a grand total of 55,246 coffee shops. However, because the majority of the market is controlled by the top coffee shop brands, it is crucial to research local competition before setting up shop. In order to succeed despite the competition, a potential owner needs to focus on 3 main things: location, atmosphere, and niche. Location is one of the least changeable aspects of a coffee shop as well as one of the most important, so a potential owner should make sure to put in the research and money to ensure his/her coffee shop is located in the best area possible. To demonstrate the importance of location, the latest study in the café industry in England showed that the primary reason why people visit one coffee shop over another is its location. If a shop is not convenient to get to, it will almost always receive significantly less foot traffic. Generally, shopping malls and retail parks ensure high levels of footfall, although rent rates in these areas usually are significantly higher. In addition to location, atmosphere also makes up a large portion of the customer’s experience at a specific coffee shop. Simple things such as clean tables, internet access, and the right music can add immeasurably to a coffee shop’s atmosphere. Also, because of the labor intensive nature of the coffee shop business, a friendly, high energy staff team is essential for success. Because of the competition with larger, more established coffee brands as well as other local shops, it is important to select a certain niche customer to serve in order to stand out. Rather than trying to serve all customers, choose a certain group of customers whose needs are not being met by another local shop and focus on creating a shop that caters to them. This choice should influence hiring decisions, price point, products sold, and general atmosphere. When you get down to basics, sell­ing cof­fee is a num­bers game. If you play the game cor­rectly, you win. If you try to cut cor­ners or stray from your focus, you will lose. Let’s begin by break­ing down the num­bers, start­ing with the cost of cof­fee. Say, for exam­ple, a one-pound bag of fresh-roasted cof­fee costs $7.45 at whole­sale. As a cof­fee shop owner, you have four basic ways to sell that pound of coffee. The first is to resell the bag of whole bean cof­fee at retail. If your sales price is $11.45, you make a gross profit of $4.00. The sec­ond option is to brew and sell drip cof­fee. 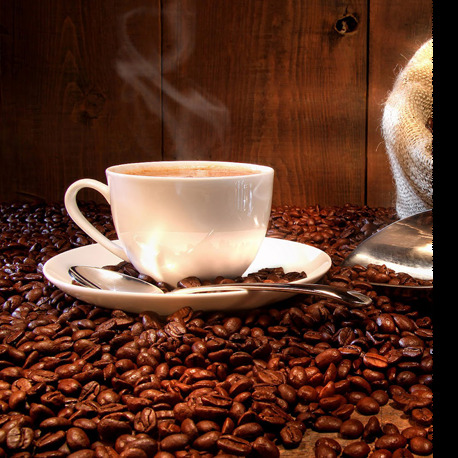 Assuming you brew the cof­fee accord­ing to spe­cialty cof­fee stan­dards of 3.75 ounces of beans for each 64 ounces of water, and you sell the cof­fee for $1.70 per cup, you’ll make about $31.75 per pound gross profit when fac­tor­ing in the 11-cent cost of the paper cup and plas­tic lid. Until you con­sider the third and fourth – and by far the most prof­itable – options: sell­ing espresso-based bev­er­ages or hand poured cof­fees like V60 (see below). You can pull about 50 espresso shots from your one-pound bag of cof­fee. If you sell each espresso shot as a caffé latte for $2.70 using 30 cents of milk and 11 cents for your cup and lid, your gross profit increases to $109.50 per pound of coffee. People often ask how hand-poured cof­fees fit into the ratio. You can cre­ate about 22 –V60 12 oz. cups of cof­fee from your one-pound bag. The costs of cof­fee and lid are about 50 cents. If you sell a hand-poured cof­fee for $2.95, your gross profit is $ 2.45 per cup or about $ 54 per pound. You don’t have to be a bean counter to under­stand that sell­ing cof­fee in the form of an espresso-based drink or hand-poured cof­fee will go much fur­ther than sell­ing a bag of beans or a cup of drip coffee. 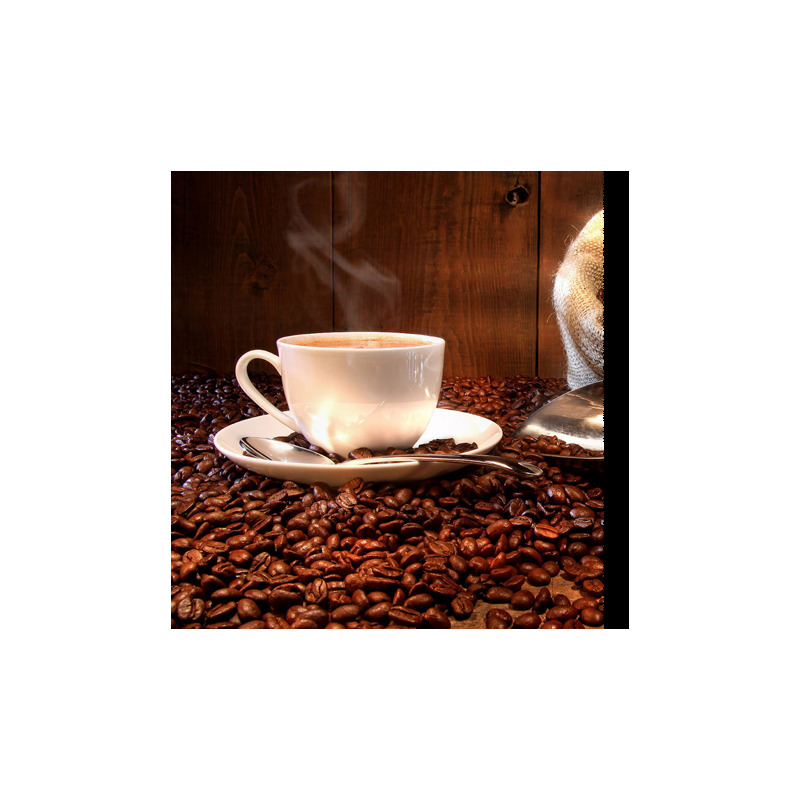 The ratio is sim­ply the num­ber of espresso-based drinks sold to the num­ber of cups of drip cof­fee served. The higher your ratio, the higher your prof­its. Over the years, our cus­tomers have found that a ratio of 80 per­cent espresso-based drinks to 20 per­cent drip cof­fee max­i­mizes profitability. At this point, you may be think­ing that espresso-based drinks have a higher sales price because they cost more. That’s true. But you incor­po­rate the cost of the cup, lid, milk, syrups and other ingre­di­ents into the price of drinks, as you can see below. It’s clear that you’re going to make about twice as much per drink when you sell espresso-based drinks as com­pared to drip coffee. So, how does the ratio play out across mul­ti­ple trans­ac­tions in your cof­fee house? Let’s take a look. 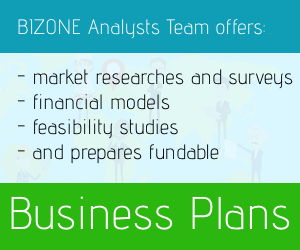 Say you’re cur­rently pro­cess­ing 400 trans­ac­tions per day. Here’s how the ratio affects your bot­tom line. At this level, you’ll make about $110,000 more annu­ally if your ratio is 80/20 as com­pared with 20/80. For most cof­fee shops, the ideal ratio is 80 per­cent espresso-based drinks to 20 per­cent drip cof­fee. The ratio is sim­ple but pow­er­ful. It affects every area of cof­fee shop oper­a­tions. Several areas have a big impact on The Ratio. Here is my top five. 1. Great-tasting Espresso-based Drinks. The qual­ity of your prod­ucts is para­mount. Customers are not going to pay twice as much for an espresso-based drink unless it tastes twice as good. To ensure repeat cus­tomers, drink qual­ity must remain con­sis­tent day to day, month to month and year to year. Drink qual­ity begins with the qual­ity of the beans – their ori­gin, roast­ing, pack­ag­ing and fresh­ness. So buy the best you can find. Your baris­tas must be trained to pro­duce drinks that are flaw­less in both prepa­ra­tion and presentation. You may think your drinks taste great, but are you sure? If you hear from cus­tomers, “I love it when you make it but not when … does,” you may need to spend more time on train­ing your folks. 2. Well-trained Staff. It’s not enough for your staff to know how to make per­fect espresso-based drinks. To increase your ratio, they also need to be per­son­able and skilled in cus­tomer service. Your baris­tas and cashiers must rec­og­nize reg­u­lar cus­tomers and get to know their tastes so they can sug­gest new drinks for trial. They must be obser­vant and have good inter­per­sonal skills – which enable them to upsell a cus­tomer with­out sound­ing pushy or offensive. 3. Efficient Coffee Shop Layout – An effi­cient lay­out directly impacts prof­its. The most prof­itable bev­er­age – an espresso-based drink – should be showcased. That’s why the first thing the cus­tomer should see upon approach­ing the bar is the espresso machine. The drip machine should be as far from the customer’s sight as possible. You also don’t want to set out self-serve cof­fee in air pots. Doing this removes the per­sonal inter­ac­tion that enables you to upsell to an espresso-based drink. Working with hun­dreds of cus­tomers, we’ve found that a poor lay­out decreases The Ratio by at least 20 per­cent. If you have 200 cus­tomers per day, an inef­fi­cient lay­out could be cost­ing your busi­ness roughly $20,000 in profit per year. 4. The Menu – When I walk into a cof­fee house, I can gen­er­ally deter­mine The Ratio just by look­ing at the menu. Drip and fla­vored cof­fees near the top left of the menu are a dead give­away to a poor ratio. Why? Most peo­ple read from left to right and top to bot­tom. Putting your espresso-based drinks at the top left of your menu places your most prof­itable drinks in the most valu­able real estate. Probably the best thing you can do is take drip cof­fee off your menu entirely. Customers who want it will still ask for it. Giving cof­fee away kills your ratio. So never adver­tise or offer free refills. 5. Marketing Via Weekly Specials and Seasonal Promotions. How do you sell more espresso-based drinks? By hav­ing cus­tomers try them. Weekly spe­cials and sea­sonal pro­mo­tions are two of the most effec­tive meth­ods of increas­ing drink trial, which leads to increased drink pref­er­ence – and profits. To be effec­tive, the Special of the Week must be changed weekly. Additionally, it should be good only for a regular-sized bev­er­age – served hot, iced or frozen—sold at the same price every day. Begin adver­tis­ing your weekly spe­cial at the front of your shop. Simply take a chalk­board, write up what the spe­cial is and set it up on an easel by the front door. Seasonal pro­mo­tions are drinks that are avail­able for a lim­ited time. Think Pumpkin Latte and Peppermint Mocha. In-store mate­ri­als such as posters, counter mats and table tents that fea­ture a pic­ture of a deli­cious drink will entice your cus­tomers to try some­thing new. I rec­om­mend that you fea­ture about eight sea­sonal drinks each year. 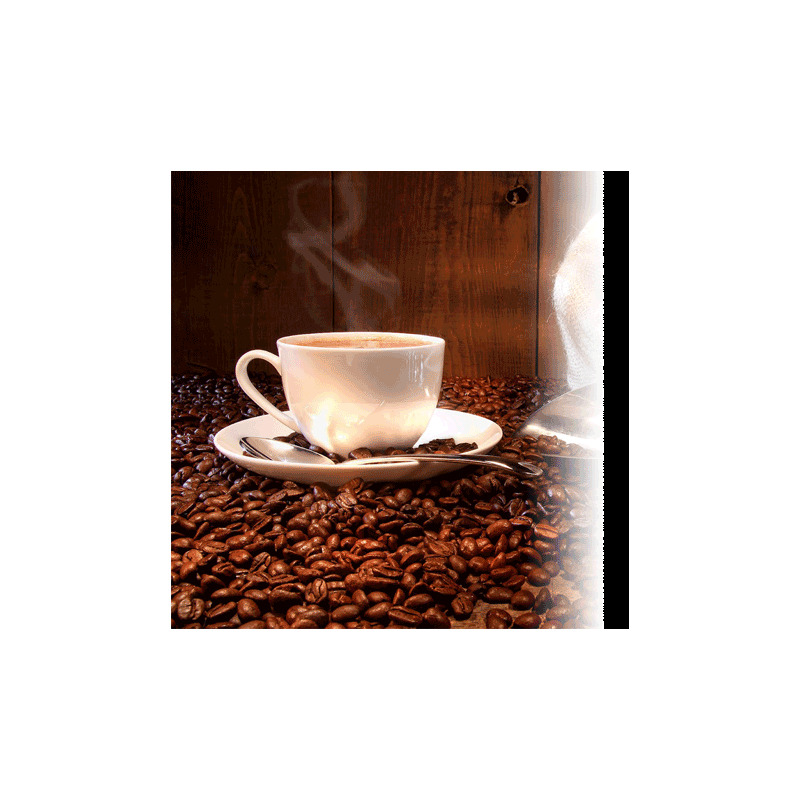 The main raw materials needed for coffee are coffee beans, water, and milk. However, chocolate, syrups and other drink ingredients as well as pastries, muffins and other baked goods (which should make up less than 40% of projected sales) may also be needed. There are many different types of coffee beans to choose from, as different varieties from around the world create different tasting coffee. Choosing the specific variety of coffee bean will require research, but the average price of beans per cup is only around 18-20 cents. Location, location, location! The chosen location for a coffee shop is such a huge factor in its success that a large amount of research must go into choosing the correct location. That being said, as a rule, rent should be no more than 15% of projected sales so make sure to choose a location that is consistent with the planned scale of the coffee shop. Because there is such variation in shop sizes, investment in location can vary from $1,000 to upwards of $50,000. The choice of personnel hired is extremely important for the success of the intended coffee shop as a friendly and high-energy team can add significantly to the atmosphere. When hiring employees, it is important to think about the scale of the coffee shop and the niche that you are trying to appeal to. On average, coffee shop employees make about $9 an hour and supervisors make approximately $11 an hour.